Garmin’s sensors attach easily to your bike, letting you monitor your speed and pedaling cadence while your ride and train. There are no magnets or other exposed parts to line up, and the sensors are easy to install, making them great for interchanging between bikes. Compatible with any crank arm size, the cadence sensor lets you know the precise count of pedal strokes per minute. The speed sensor attaches to any hub and self-calibrates, giving you a super accurate read on your speed and distance. 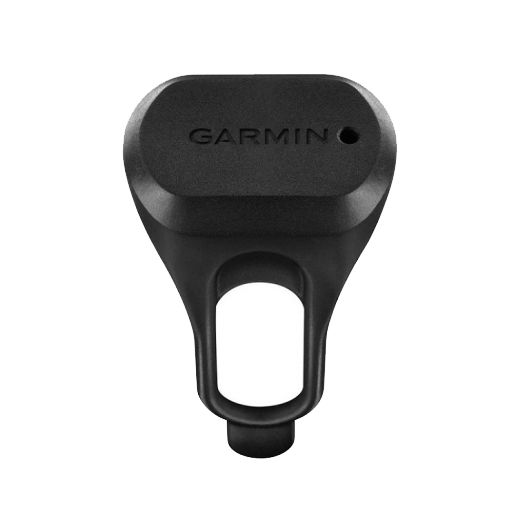 Garmin sensors are available individually (Speed or Cadence) or bundled together as a pair. These sensors are very good and easy to install. The seller was very responsive and fast to ship. I recommend this seller to anyone! I've used it for about 160 miles since I bought it. I never had it drop out and the accuracy seems to be really good. does not leave me disconnected! I had bought a lezyene GPS computer and the wireless sensor system that came with it has giving me nothing but problems. I bought this as a replacement and all it took was one time to setup and its worked ever since! A few weeks ago I replaced the batteries on my Garmin speed and cadence sensors. Much to my surprise, I noticed my Edge 520 was displaying my cadence after a ride. Thinking I might've bought a bum battery, I put another one in. However that didn't work either. I chatted with Garmin learned my sensor died on me. I also found out this sensor only has a one year warranty. (My purchase was made May 2017). Bummer. For a Clydesdale like me, seeing my cadence and heart rate is important when I'm riding. So I purchased this a replacement. But beware folks, Garmin's warranty only covers this sensor for a year. Consequently you won't get a warning when it goes out on you. Thus the reason for my 2-star rating. BEST ANSWER: Yes, this is a great combo for your cycling pleasure.